May 17 10:32: Magnitude recalculated from 4.6 to 4.7. 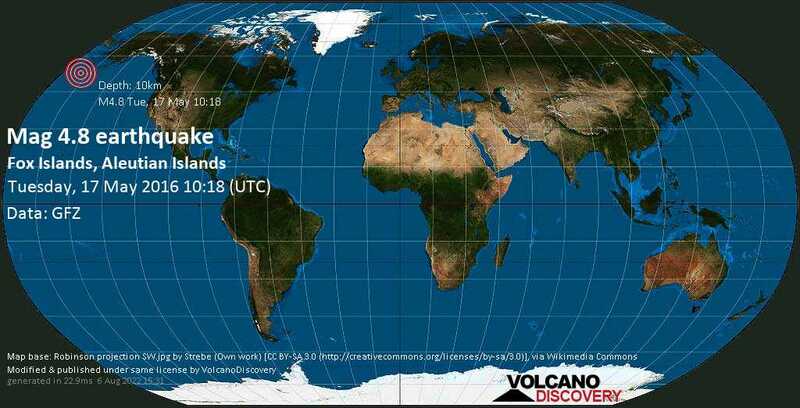 May 17 10:33: Magnitude recalculated from 4.7 to 4.9. May 17 10:34: Magnitude recalculated from 4.9 to 5.2. May 19 10:30: Magnitude recalculated from 5.2 to 4.8.